André Beaudin (1895-1979), a graphic artist who later became a sculptor and ceramic and tapestry designer, illustrated several artist books. In his work he preferred depicting nudes and animals and birds, concentrating on form and design. 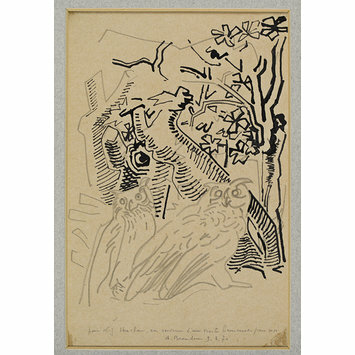 Pencil and ink drawing showing two owls in pencil in front of a line drawing in ink of a pruned tree branches and foliage. Inscribed in pencil on reverse. Inscribed in pencil on front. 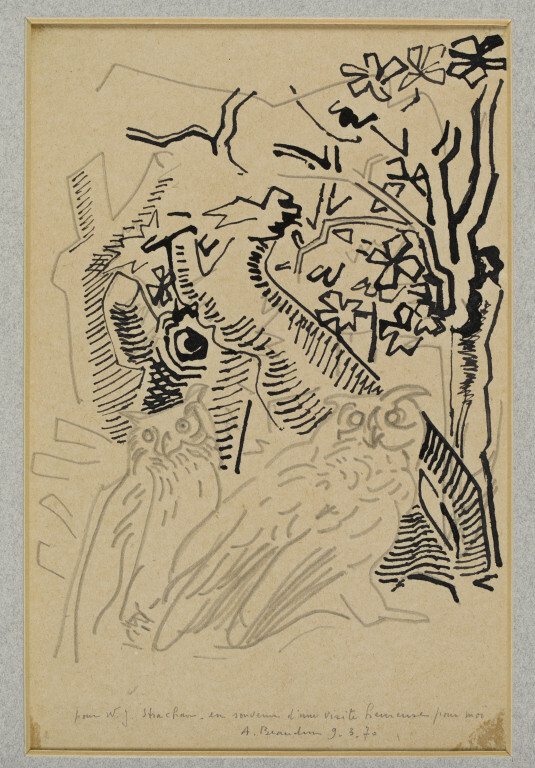 Pencil and ink drawing, owls, by André Beaudin, 1943.